OLD PARKED CARS. 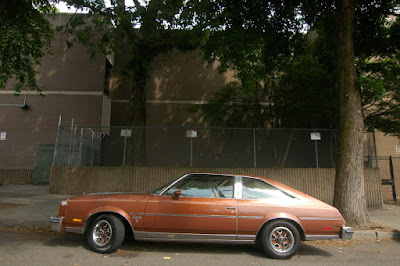 : 1979 Oldsmobile Cutlass Salon Aeroback Coupe. 1979 Oldsmobile Cutlass Salon Aeroback Coupe. Amazing how a set of color-matched Olds rally wheels can transform something like this into a reasonably appealing car. I've always loved these, one of the few who did I guess. No 4 speed option, but the 260 V8 (both the gas & the diesel) were available with a 5 speed. Very few takers on either combo, I believe. It's like somebody took the sedan and put it in a miter box. Welcome back OPC! 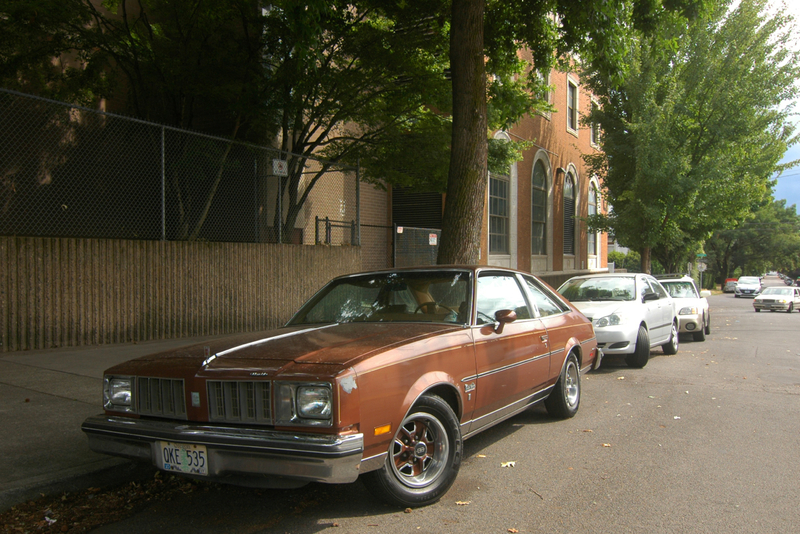 Interesting, Dad had a '77 (previous body style) and I remember reading the owner's manual and finding mention of a 5 speed with the 260 V8 and kinda wishing his had it (it was a 350 4bbl auto). So, when I first saw it and Richard's comment I did a little internet sleuthing and only found info on the 5 speed, no 4 speed. Either one would be fun. I saw a Buick version of this car in Geelong Australia today. 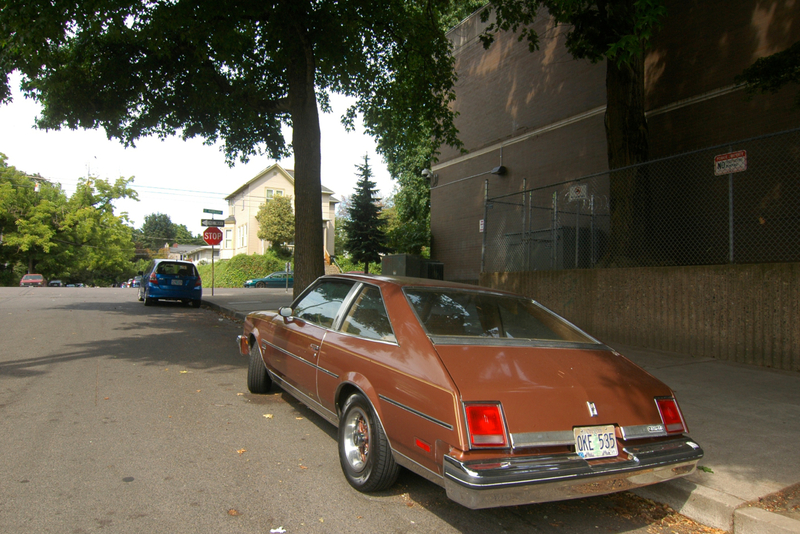 My mom had a maroon '78 in this two door guise. It was a great car, until my cousin crashed it, that is. I loved the flag decal on the back of it. My parents had a silver one with a Diesel engine.